Pascal and Jean-Michel above Bludan with a glorious view on Mt. 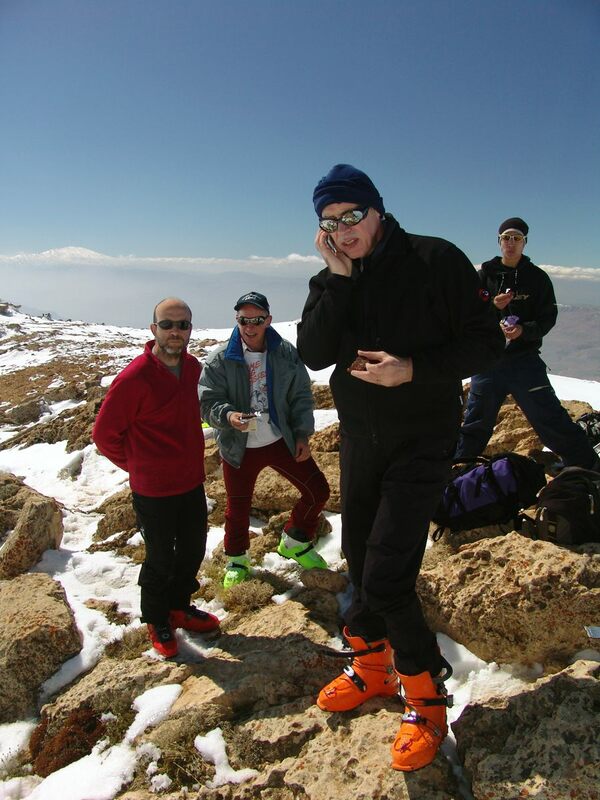 Sannine (2628m) on the other side of the Bekaa valley in Lebanon. 23rd of February 2008. 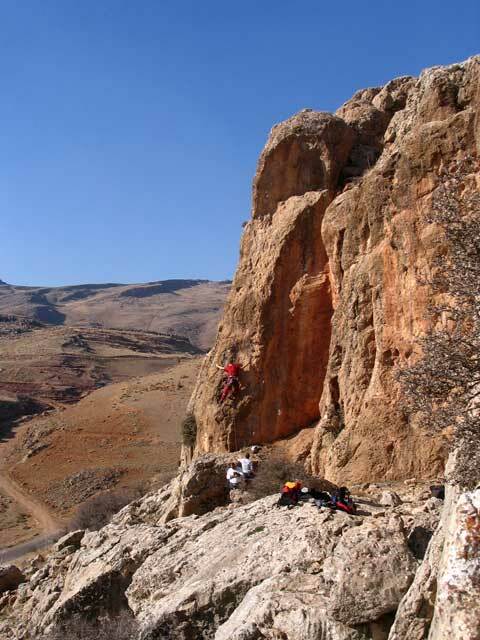 Most of the days the Bludan mountains offer splendid views over the Zabadani and the Bekaa Valley in the west. 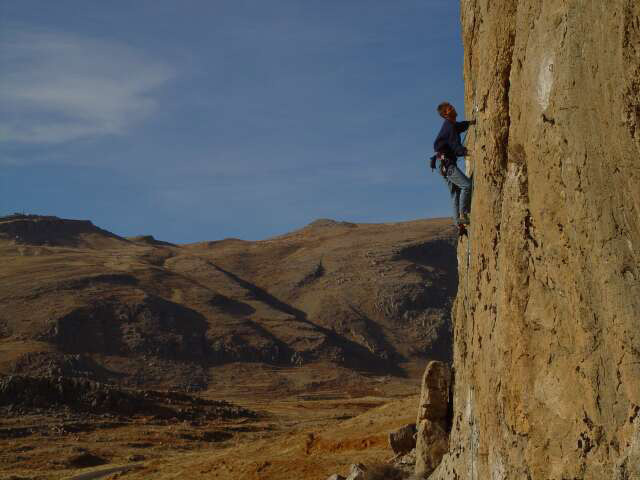 Juerg on the ascent on February 1 2008. The mountain in the far background is Jebel Sheik or Mt. 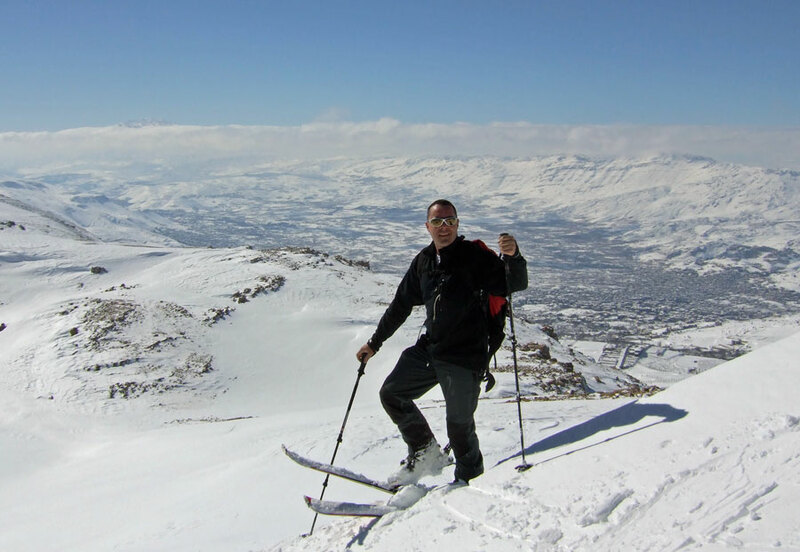 Hermon, with 2814m the highest mountain on Syrian territory and a true gem for ski touring. Unfortunately, you need either very good connections to the UN troops sitting on the hill or the guts to sneek past the Syrian army to get up there. 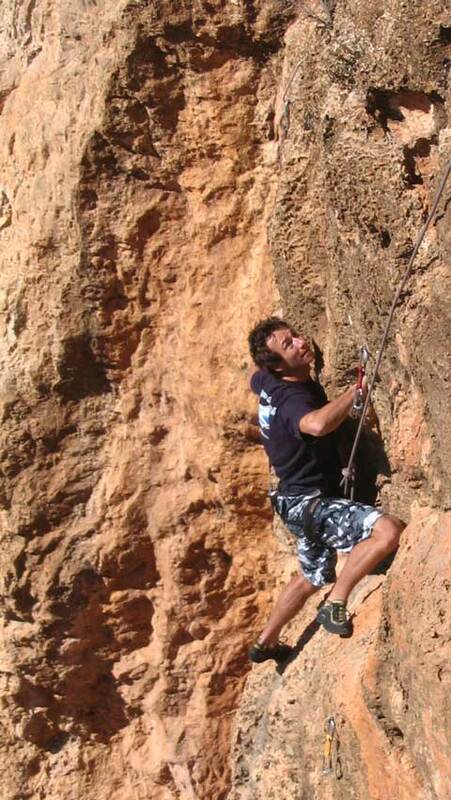 Gerri shows off the muscles he has built up with rock climbing. Despite the frozen looking background, 2008 was a dry winter with below average snow fall. 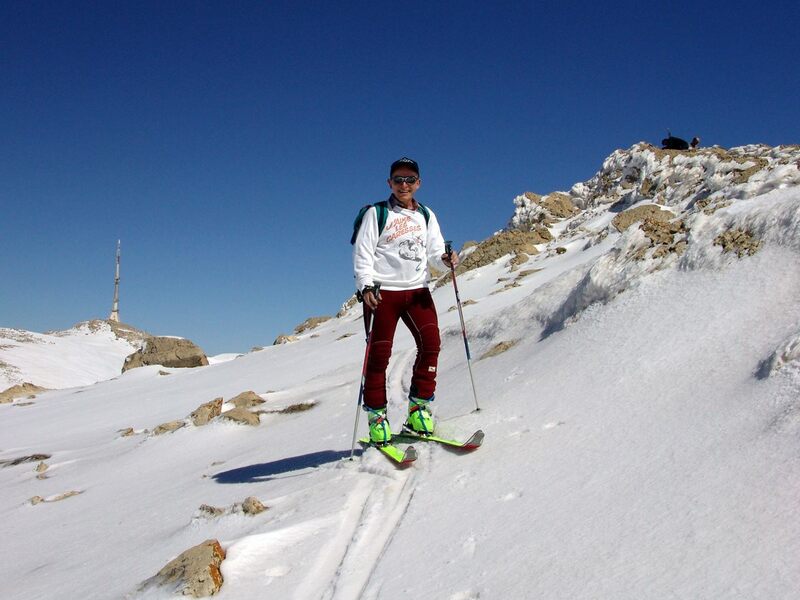 Skiing was still possible, but admittingly our skiis were suffering a bit. 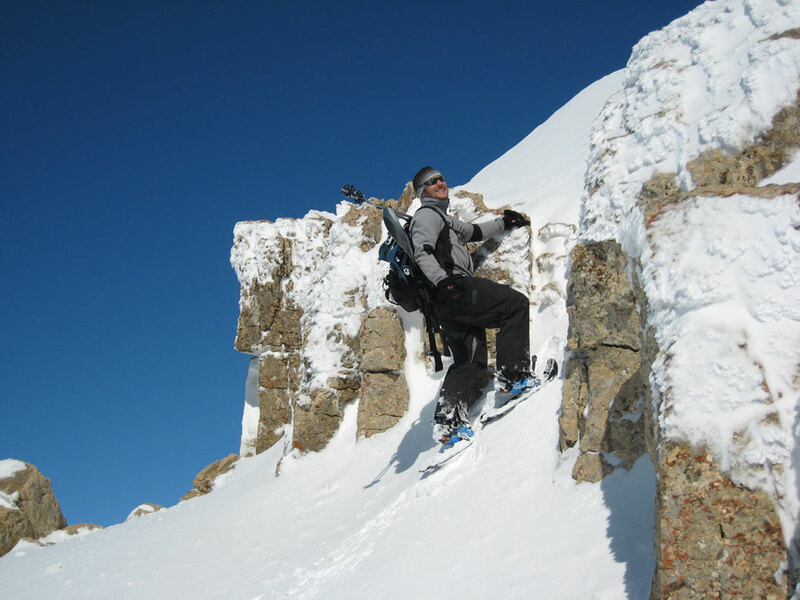 Martin climbs a small cliff with snow shoes on the way up Ras Abou Chudr, Bludan, Syria, 1st of February 2008. 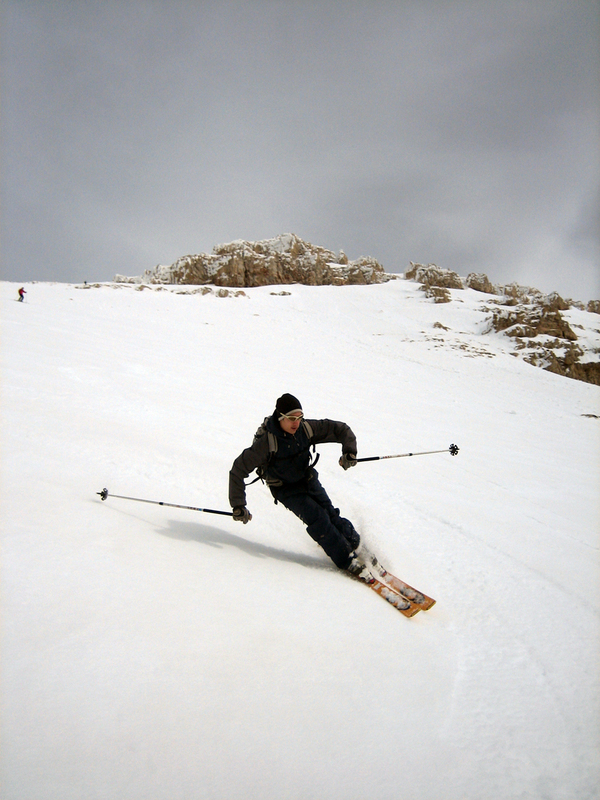 Markus Gschwind skiing down the western slope of the Jebel Ain Anzour, Bludan, Syria. The high antenna on top of the 2418m high Jebel An Nassr stands proud in the background. February 2006. 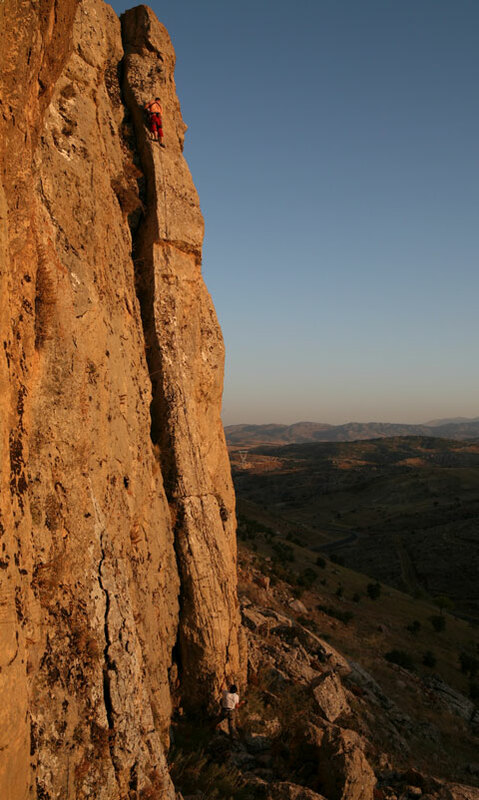 Jacques climbs a steeper bit in a gully running through a small rock face at the top of the western slope of Jebel Ain Anzour, Bludan, Syria,. 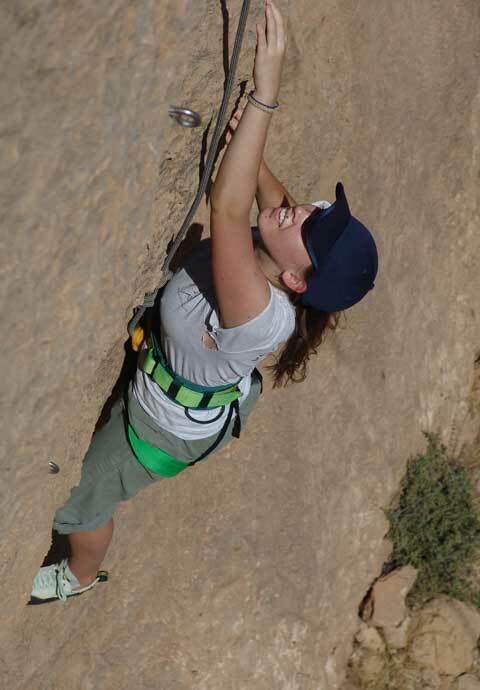 March 2007. 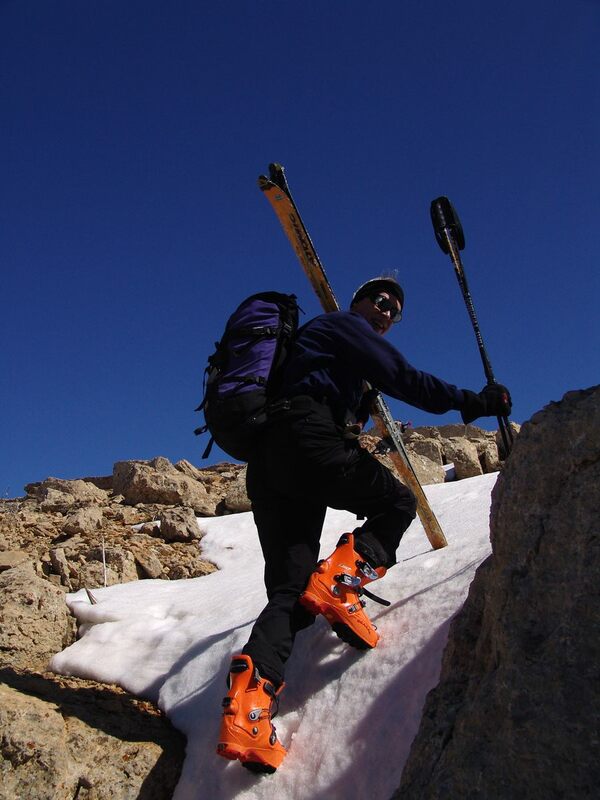 Juerg in an almost alpine surrounding on the crest of Ain Anzour. 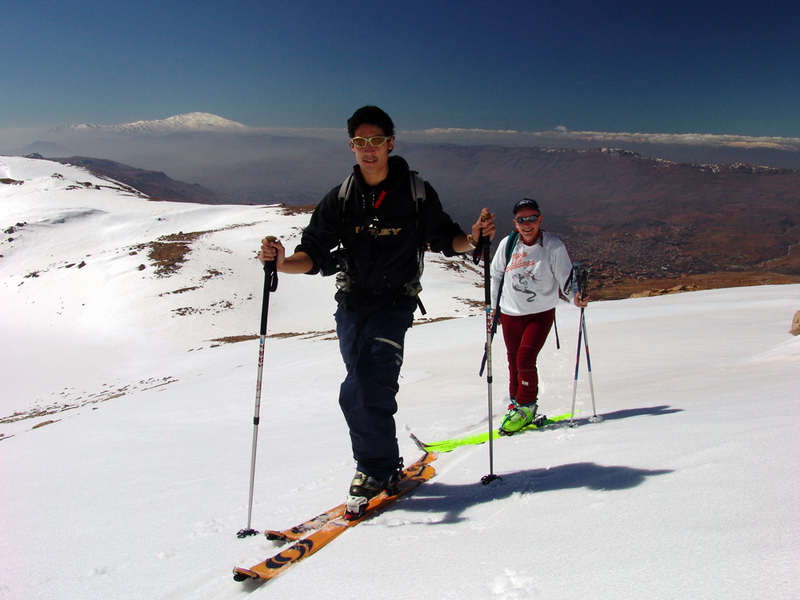 Guillaume and Pascal on the ridge leading to the small summit of Jebel Abou Chudr summit above Bludan, in the background Mount Hermon. March 2007. 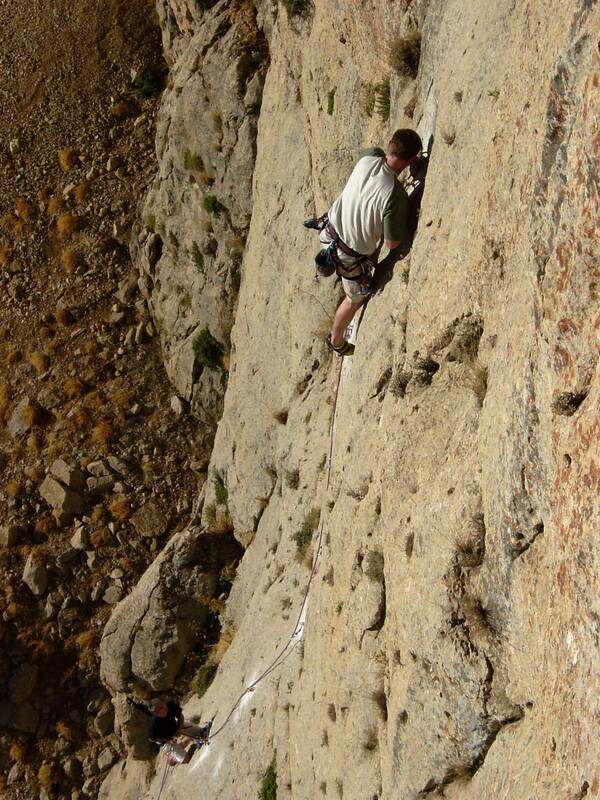 Guillaume climbing back up the eastern side of the Ain Anzour mountain chain. 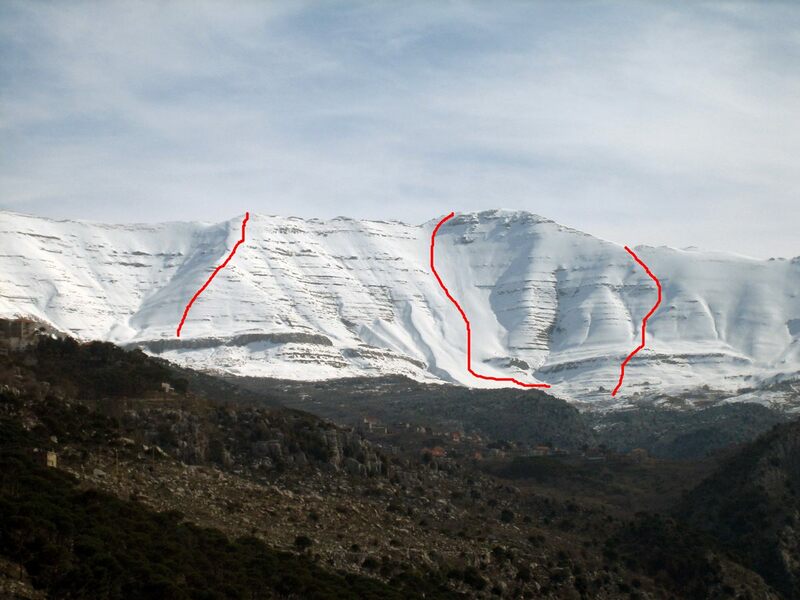 The wind in the Ante-Lebanon mountains blows from westernly directions, hence the eastern flanks always have better snow than the slope on the Bludan side. 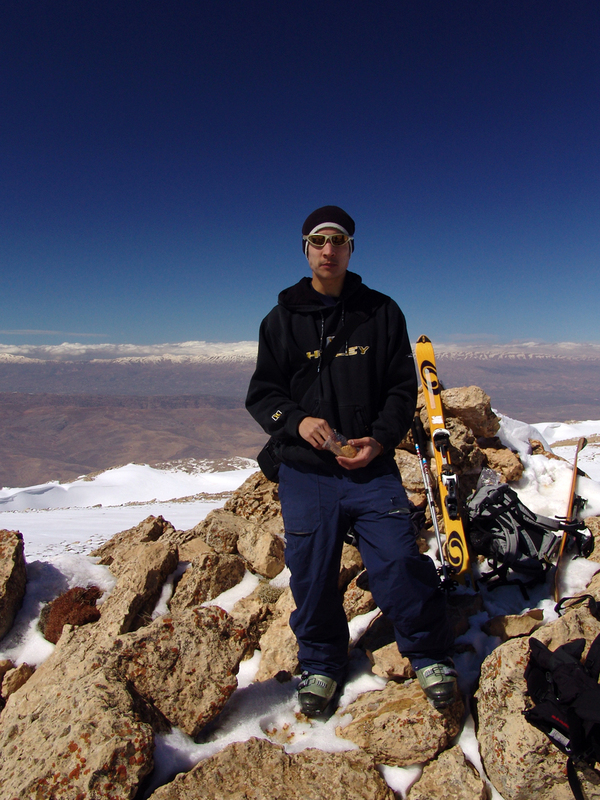 Pascal just below the summit of Jebel Abou Chudr, the Bludan antenna on top of Jebel An Nassr in the background. 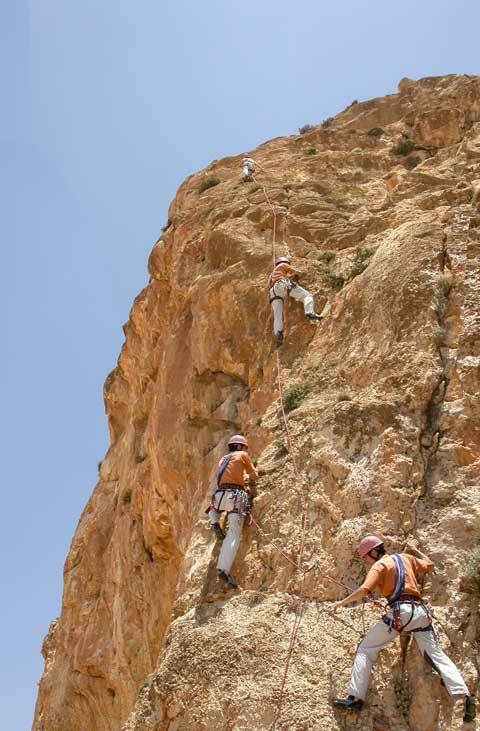 Baudouin, Pascal, Jacques and Guillaume on the summit rocks of Jebel Abou Chudr on a splendid March day. The summit has an altitude of 2380m. 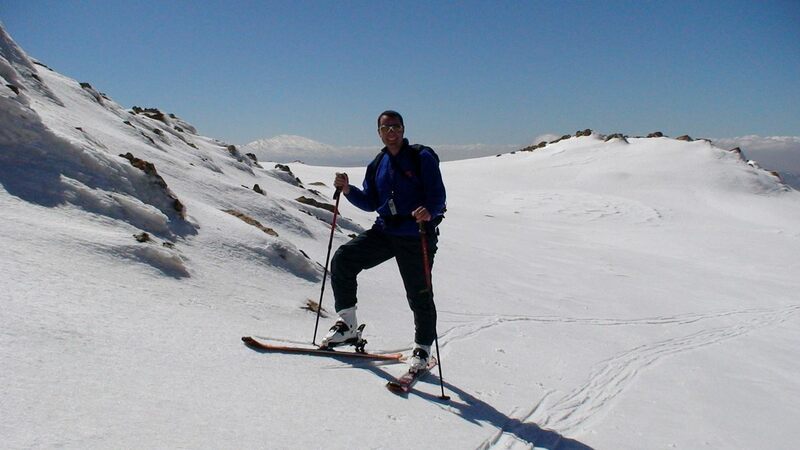 Guillaume on the summit with the mountain chain of the Lebanon mountains in the background. Snow konditions on the eastern flank can be pretty good even in March. 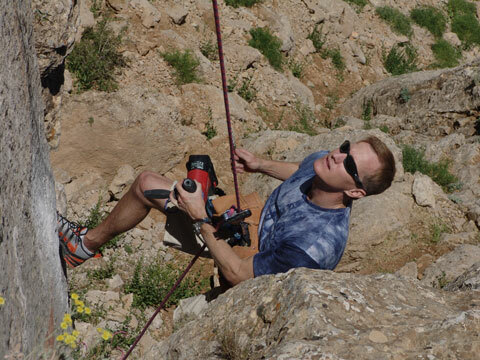 Jacques is enjoying the 300 vertical meters slope from Jebel Abou Chudr. The ridge of Jebel Al Rouaisse with the summit of Jebel Sannine at the highest point. 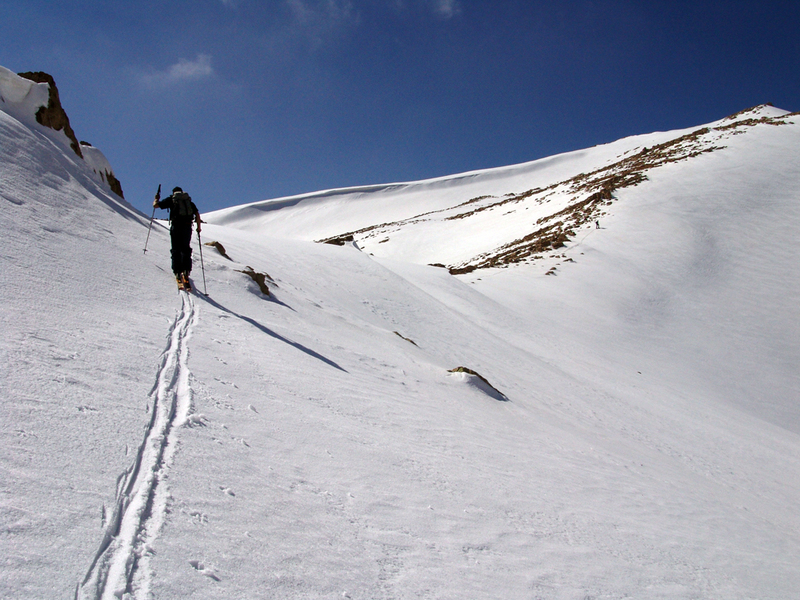 Three famous free ride slopes lead from the ridge to the valley. The longest one - la Grande Coulé - in the middle consists of one 900m altitude slope. 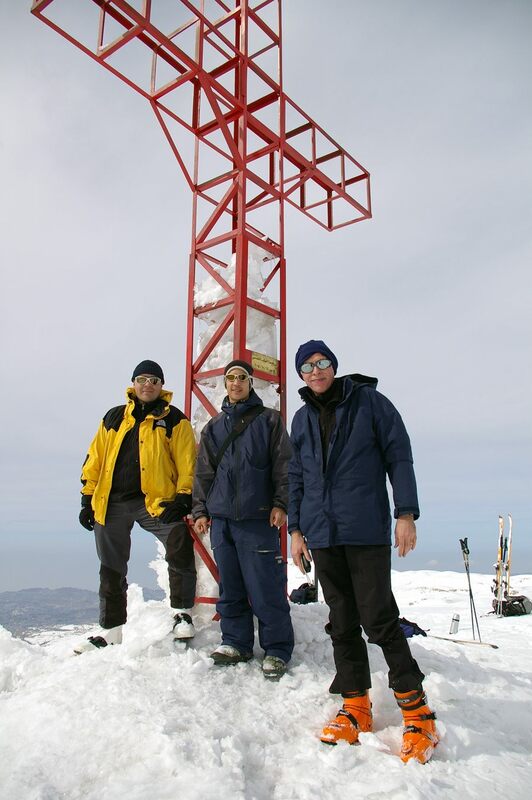 Juerg, Guillaume and Jacques at the top of Mt Sannine in Lebanon, February 2007. 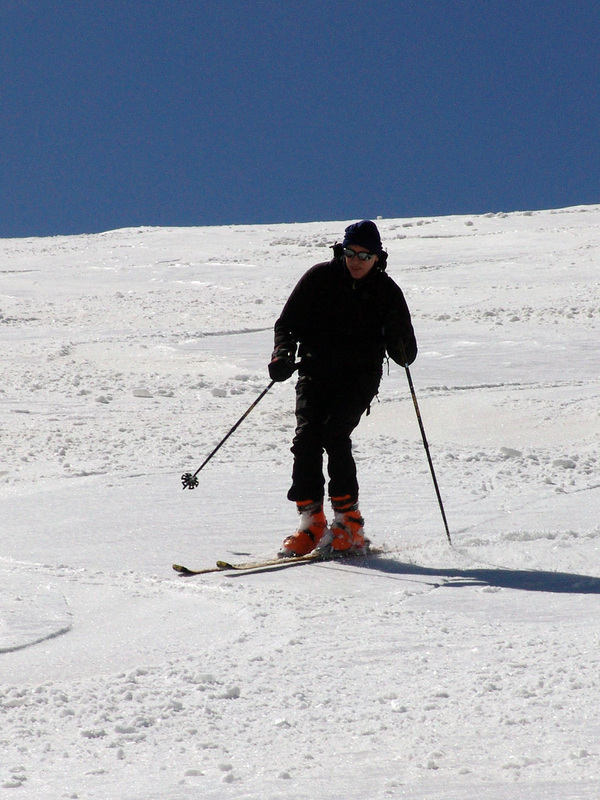 Guillaume enjoying the fantastic long and steep slope of the Grande Coulé.